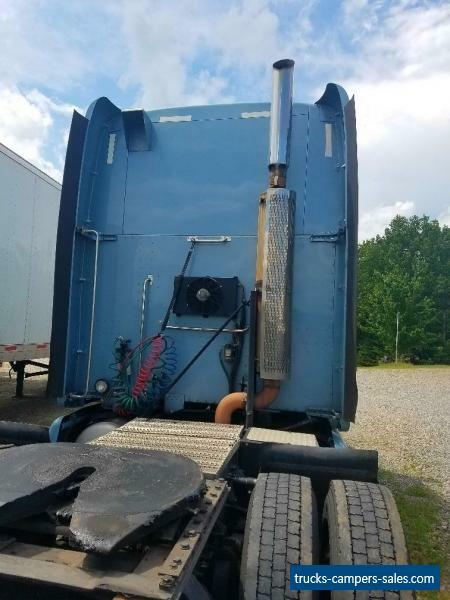 This truck and sister truck to it are both ready to go to work for someone else.This auction is for this truck only but we do have sister truck to it that can be purchased for the same amount as this truck brings. 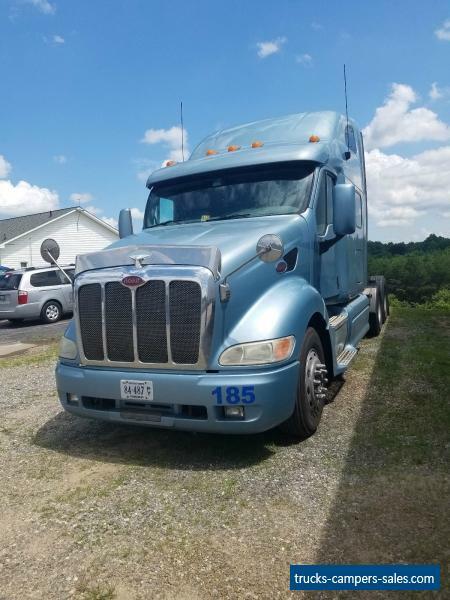 By the time these auctions end we should have the new Peterbilt 579's ready to go. The other truck has 1,109,171 miles on it and brand new set of tires on it It was rebuilt at 801,850 miles which make the truck have 307321 mil;es on overhaul. These trucks have been taken care of and serviced and will make someone Good Truck. We run Synthetic Oil in them and keep them serviced. We sell all of our trucks rather than trading them which keeps the dealer from trying to rob me and then rob you when you buy the trucks. If you have any questions you may call me at work after 8:30 EDT until 4:30 PM EDT at 276-629-3315. Any other information can be found on our website by looking up Hatchett Transportation all spelled together than add .com We are located at 247 Meadow Green Road Bassett, VA 24055. If you would like to inspect the truck before bidding then please call and make sure it is on the yard as we are using it everyday. The truck is being sold in as is where is condition without any warranty expressed or implied. 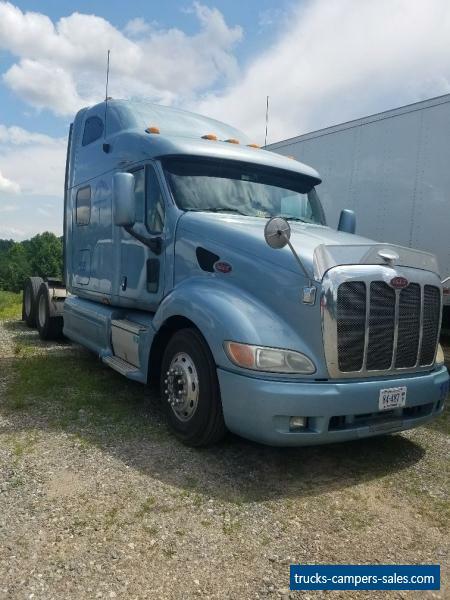 If you are looking for Good truck to use then this truck or its sister trucks should do you great job.If you plan on coming and looking then please call ahead and make sure it is on the yard. This auction is for the one truck only less the APU. Any questions please call me. Both trucks are at our terminal in Bassett, VA and both have refrigerators and inverters that are capable of running microwaves and other appliances. Both trucks are in great shape and will make someone great units. Please come by and take look . Thanks For looking!